Known only as The Conspiracy Nut, this writer comments frequently on his theories of machinations, scandals and conspiracies in paranormal pop culture and their connection to the real world. The views reflected in The Conspiracy Nut Report are wacky and (probably, hopefully, maybe?) completely untrue, and definitely not those of ParanormalPopCulture.com. However, they are fun to read and if you want more, follow him on Twitter. Somebody is watching you right now! Don’t bother to turn around; you can’t see them, but they can sure see you. In this electronic age, between security cams, cell phones, the Internet and citywide surveillance - not to mention all the satellites - more people are watching you than were watching Joanie Loves Chachi. So how is this paranormal? Well, with the way things are going, it won’t be long before we all bear the mark of the beast. That’s right, I’m talking radio-frequency identification (RFID) chips, baby! Invented in 1969 and patented in 1973, but only now becoming commercially and technologically viable, RFID tags are essentially microchips and the tinier, the better. Some are only 1/3 of a millimeter across. These chips act as transponders (transmitters/responders), always listening for a radio signal sent by transceivers or RFID readers. When a transponder receives a certain radio query it responds by transmitting its unique ID code, perhaps a 128-bit number, back to the transceiver. Although some do, most RFID tags don't have batteries. Instead, they are powered by the radio signal that wakes them up and requests an answer. A majority of these "broadcasts" are designed to be read between a few inches and several feet away, depending on the size of the antenna and the power driving the RFID tags. However, it is possible to increase that distance if you build a more sensitive RFID receiver. Most of us have a half-dozen of these and don’t even think about it. Many major companies are right now embedding these little chips in products you wouldn’t even think of. Now some of you smarter people out there (and you know who you are) will realize some high-end fashion items are marked, but what about simple things like your razorblades or even an egg timer. They claim it’s for inventory/security purposes, but it’s obvious we are the inventory they want to track. And don’t think you can just hop in your ’83 Buick and get away from it - tire companies, EZPass and even your Visa card are all equipped to track you. You can have chips implanted with your medical data or even to keep track of your kids. This sure sounds like the mark of the beast. After all, in 1976, most of us heard about the mark of the beast for the first time. 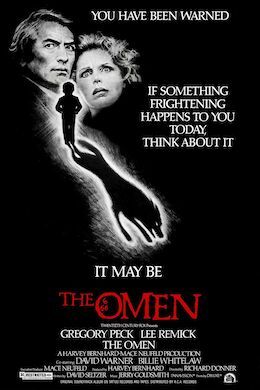 Sure, most of the bible thumpers knew already, but for the rest of us it took little Harvey Stephens as Damien Thorn in The Omen to make it clear. The movie popularized the concept that the beast had a mark of 666. As foretold in Revelations 13:16-18 - and I’m paraphrasing here - if you don’t have the mark you will not be able to buy or sell or do business of any kind. At that time, we all thought that we would be branded or tattooed, but this is even more insidious - this will be something people will ask for. Until next time, keep your minds open and your eyes wide.